You can move into the most beautiful home with a stunning kitchen, but if left untidy and chaotic, it won’t create the desired effect. The best kitchens are those that are well-organized and reflect that some thought has gone into the organization of all the various parts that make up this vital space. Your kitchen is the part of your home that gets used the most, so it’s important to keep it well-organized. So where do you begin? 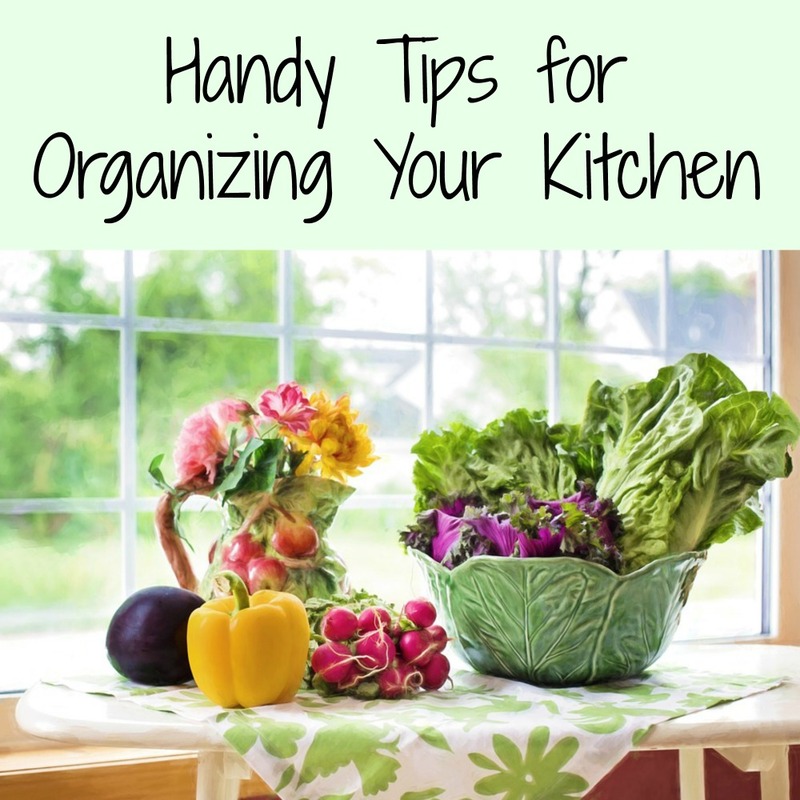 Here are a few great tips to help organize your new kitchen. Pots and pans which you rarely use can be stored in the back of either the lower or upper shelves or cabinets. However, items such as coffee mugs, plates, cutlery and other frequently used pots and pans should be stored within easy reach to save time and energy. Keep cooking tools within easy reach, making sure to keep any frequently used ingredients, such as salt and pepper, near the cooking area to save time searching mid-way during cooking. If you find yourself surrounded by clutter in your kitchen, the best thing you can do is to empty your cabinets. Now you can see exactly what you have been storing and what needs to be thrown out. Often, we aren’t aware of expired products that are hidden behind piles of other products and so the clutter grows over time. Try to empty out your cabinets every few months. Once you have sorted through the items, it’s time to group all items of similar use together. For example, all baking utensils can be stored together. Items that are brought out only during the holiday season can be stored away separately, and all the fancy china or glassware can also be placed together. When emptying your cabinets and drawers, you can also pick out items that you want to display in the kitchen. For example, a vintage tea-set you found on your travels may be something to display. If you have special dishes that are only used when entertaining guests, then these can be stored together. This will save you plenty of time when looking for a dish or utensil. When storing perishable goods such as pasta, pulses and cereal, always use clear containers to be able to quickly see what is placed in each container. If you have small sachets of hot cocoa, gelatine and other items, which can cause a powder-related mess inside your cabinets, then store these inside containers as well. Lids of plastic containers are one of the most easily lost items in every kitchen. If you have a container without a lid, discard it. Unused plastic storage containers can be stored together. To avoid misplacing lids, either store each container with the lid on, or place all the unused lids in a larger container. If you love to cook, chances are that you have gathered a substantial number of cookbooks over the years. Don’t leave them lying about on counter tops as this looks messy and makes the books susceptible to humidity from the refrigerator and grease from the stove. A great way to display your culinary-related literature is to arrange all the books together on a shelf dedicated to reading material. Leaving your books near a stove is also a fire hazard, so make sure to store them in a safe place. If you want to keep your kitchen looking neat, then don’t let tea towels, hand towels, counter top towels and other types of cleaning cloths pile up. There is nothing worse than walking into a kitchen and seeing 5 different pieces of cloths lying on every surface. Instead, hang all your cloths on a peg at a safe distance away from the stove, approximately a foot or two away from any open fire. Also, make it a habit to hang your oven mitts on a peg with the other kitchen cloths. To make the best use of a small-sized kitchen, remember to utilize any vertical space that is available. This means placing hooks below the top cabinets to hang mugs, ideally in an easy-to-reach location such as above the countertop. You can also consider hanging mugs on the inside of your cabinet doors or hang a rack suited for stemware above the countertop to hang wine glasses. Doing this will free up plenty of space in your cabinets. If you hang pots and pans on the wall using a ceiling rack, it will create even more free space. Do you waste several minutes searching for knives and forks in a pile of cutlery inside various drawers? A quick and effortless way to separate different types of cutlery is to insert drawer dividers. This will help organize miscellaneous items and will save you a lot of time. Keep several trash bags near the rubbish bin to ensure it is never left unlined. When you are about to throw out the trash, always look through your fridge to discard any expired or rotten food. This will help keep your refrigerator uncluttered and clean. Keep a drawer or a box on one side of the kitchen for take-out menus or other miscellaneous papers can be kept. When you have time to spare, go through this box and organize all the items. This way you won’t have bits of paper lying all over your kitchen, giving it an uncluttered look. This drawer/box can also be used to store other types of small, miscellaneous items which you are unsure where to put. However, make sure you go through this space regularly to keep it from overflowing. With the help of a few clever tips and tricks, any kitchen can be transformed into a well-organized space. By investing a little time towards organizing your kitchen, you will be able to reap the rewards in your daily life. Every kitchen must serve its owners’ unique needs so make sure you set yours up to suit your lifestyle and food choices accordingly. I do need a lot of clever tips and tricks for organizing my kitchen. It can get overwhelming when clutter starts in the kitchen area. My kitchen needs some work. Thanks for these great tips. I really need to organize mine better. Thanks for the tips! I need to empty mine out. I have lids that likely go to nothing anymore and things like that scattered about. There is so much I dont use! These are great tips! Will help with some overdue “spring” cleaning!